Ticket Launch for G-DRAGON, TAEYANG and SEUNGRI "Thinking of you"
Ticket Launch for G-DRAGON, TAEYANG and SEUNGRI Malaysia fan meeting “THINKING OF YOU”. 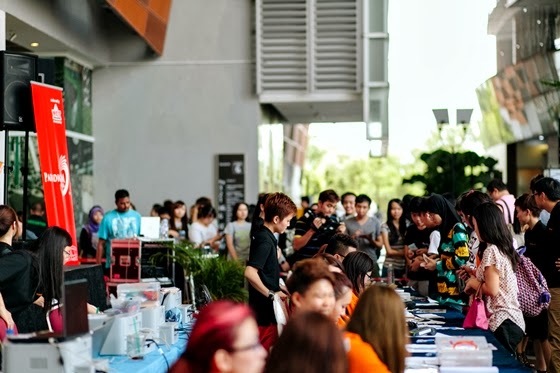 Fans queued up for days starting from Tuesday (5 days, 4 nights) to grab the tickets such as VVIP priced at RM750 which is only available during Ticket Launch. 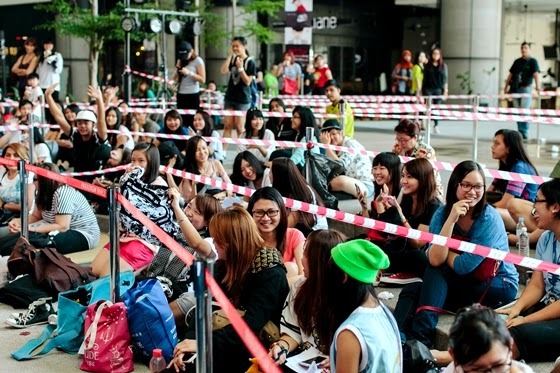 Huge number of fans showed up for the ticket launch. 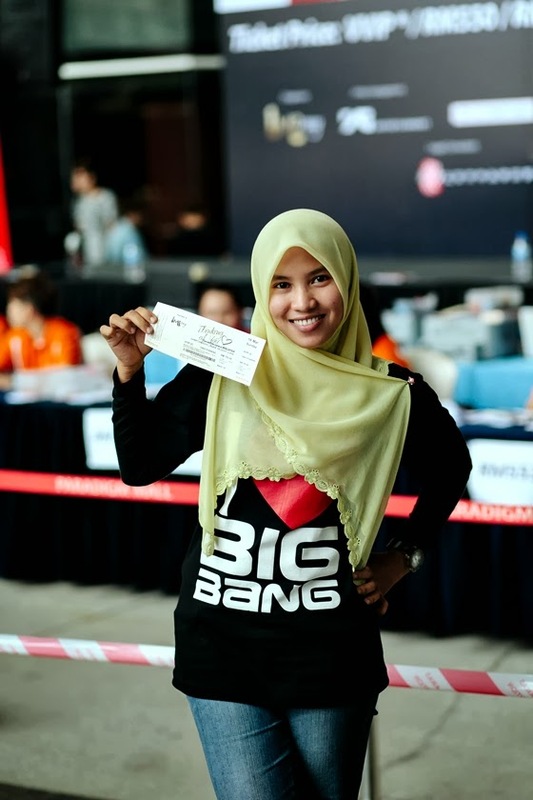 Excited fans showed their support by wearing Big Bang's merchandise. 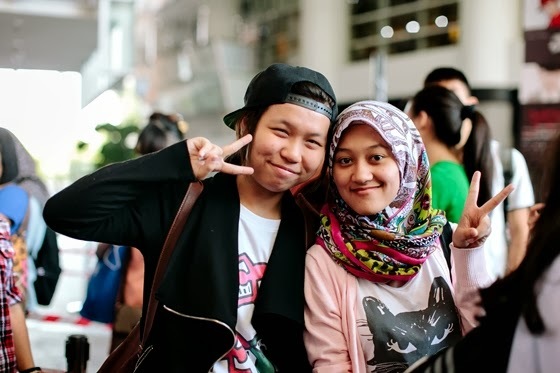 First buyer were the same fan that was too the first buyer of previous Big Bang related concerts. Fans left the ticket launch with content with their guaranteed seats. Online ticket purchase start on 6p.m. on ticket launch day and cause ticketcharge server down for 20 minutes. Half of the tickets had sold out on 22 Feb (ticket launch day + online). Don't miss out! Get your tickets from here and more details here! Stay updated with us and IME Productions for more upcoming news. 'Thinking Of You' fan meeting show duration is 1 hour and 45 mins. 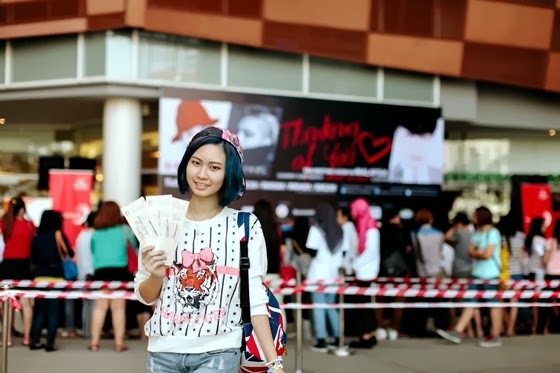 First Buyer with VVIP tickets! 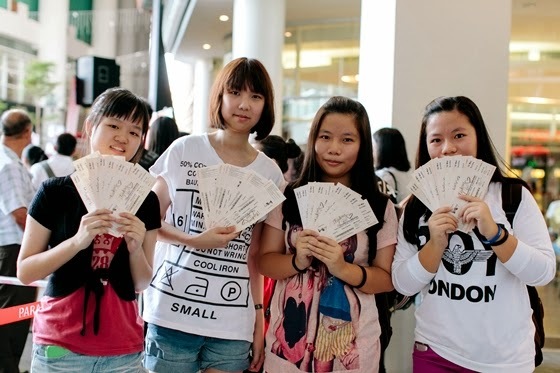 Happy VIPs with their tickets!